Review | On offer: young, slim, sportive type of Italian origin. My leisure interests are: going out, playing sports and simply enjoying life. I am looking for a sportive partner to set out daily and above all to have a good time. Children are no objection. Ultimately I am looking for a steady relationship but for the time being leasing is also fine. How nice of you to take an interest in me! Let me introduce myself to you. 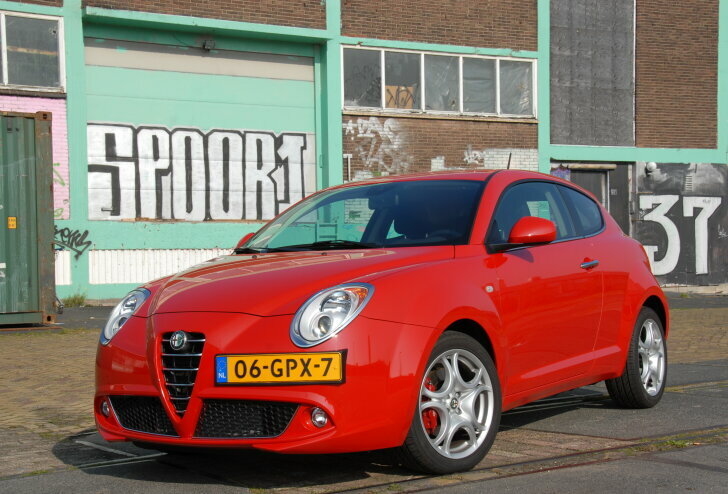 My full name is "Alfa Romeo MiTo", but you may simply call me "MiTo". My surname refers to my place of birth: I have been designed in Milan and was born in Turin. This also explains my character. As a proper Italian, looks matter a lot to me. I want to enchant everyone in every way possible. My creator has paid just as much attention to my design, as of that of my larger brothers and sisters. I have also been made out of the same materials and therefore I have a more dignified charisma than other smaller ones of different families. However, I understand that on certain aspects my level of finishing slips up (rattling, plastic with a design instead of proper carbon, etc.). Once you decide to go out with me I will promise you an experience that you won't easily forget. My counters rave about out of sheer excitement and my lights flash before each ride as I always fancy a distraction. I have space for two adults and two children. As indicated earlier, my looks mean everything to me and sometimes this goes at the expense of practicality. My boot-space is limited and also difficult to access because of a huge lifting threshold. Personally, I do not consider this to be detrimental, but just a minor flaw, for I hear everywhere that I have a 'great rear' (although I would never say this about myself). I am young and modern so I offer cruise control, an audio system with MP3 which can be activated from the steering wheel and a left/right divided climate control system. Optionally, I can team up with your phone via Bluetooth. Thanks to this extensive trim I may have the charisma of a small car, but I can also be an up to par partner to you should you previously have had a larger car. My beating heart is a 1.4 litre engine with an uncanny DNA. Nothing human is unfamiliar to me, but in my book D.N.A. stands for "dynamic", "normal" and "all weather". I can adapt myself to your mood through a single press on the button. Generally speaking I am easy going but aloof. I can be steered readily and easily. Should you go off track then I will get you out of trouble. Thanks to my compact dimensions I can be navigated easily through town. I am not a big drinker if you go easy on me: on average I will cover 41 miles per gallon of petrol. My Italian charm is owed to a combination of lots of metal and little glass. Unfortunately for this reason, I am extremely difficult to grasp. Swapping lanes is difficult and one has to look very well over ones shoulder (only my left wing mirror has an anti blind spot provision). Despite my compact dimensions parking is a problem. My insidious wide wheel arches, large B and C pillars and small rear window make it hard to assess my size. But this is especially brought about because I do not want to do so. I want to go out with you! Do you want to play? Then opt for my dynamic DNA and I will show you my teeth. Then I transform instantly into a daring type. My character becomes more unambiguous and I will eagerly follow all your commands. My steering becomes more direct and I respond instantaneous to the accelerator. Thanks to a turbo, my relatively small engine manages though to produce 155 bhp which allows me to be seriously fast. At least that is what they tell me. Moreover, I have a technical gimmick which enhances the enjoyment even further: Q2. Thanks to a computer I herewith pretend that I have a "limited slip diff" on the front wheels. Don't you know what this is? No problem: you will find out for yourself. I happen to be able to turn into corners much quicker than many other cars without skidding or inclination to slide straight on ("understeer"). Once you have become acquainted with my dynamic side; there is every chance that you won't ever go back. I am very provocative and it requires an almost supernatural self control to resist the temptation of turning every corner together into a celebration. Therefore, some people call me too enthusiastic and pushy, but you surely not? Are there any other cars that compete for your hand? Then these are most likely the MINI Cooper and the Vauxhall Corsa OPC. My character though, is more defined by the computer and therefore some will describe my behaviour as man-made. I would very much like to tell these bores that my computer also guarantees my safety. Should you overrate yourself for once, then I will always try to get and keep you out of trouble. The Mini and Opel OPC are even faster than me in a straight line, but they come at a hefty price. The Mini in particular has become overly self-confident because of its success while I can be yours for quite a moderate price. Moreover, I am more exclusive (for the time being) and with me you get yourself a proper Italian. Now you know all there is to know about me. I am curious to find out about you. A personal ad instead of a car test? 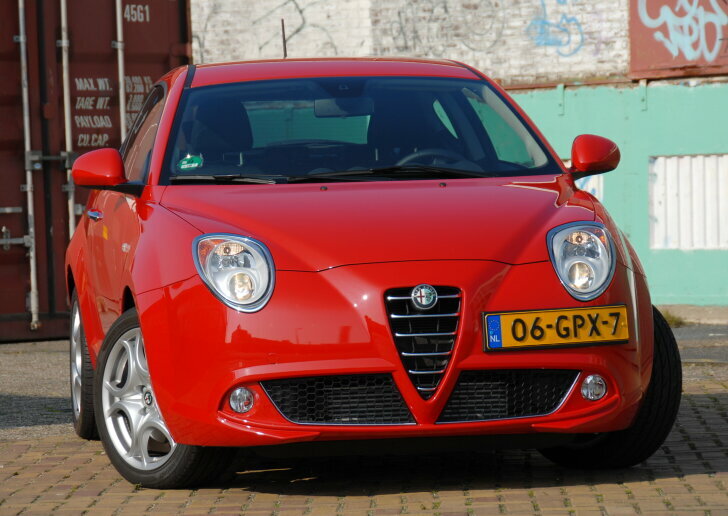 Indeed, because the Alfa Romeo MiTo has an outspoken character and it is therefore necessary to look carefully for a suitable partner. 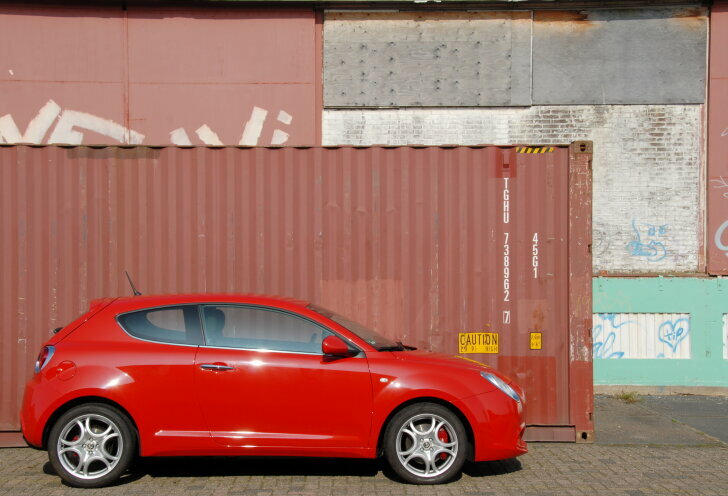 The Alfa Romeo Mito is not meant to be the most solid form of transportation to get you from A to B nor the most practical small car. 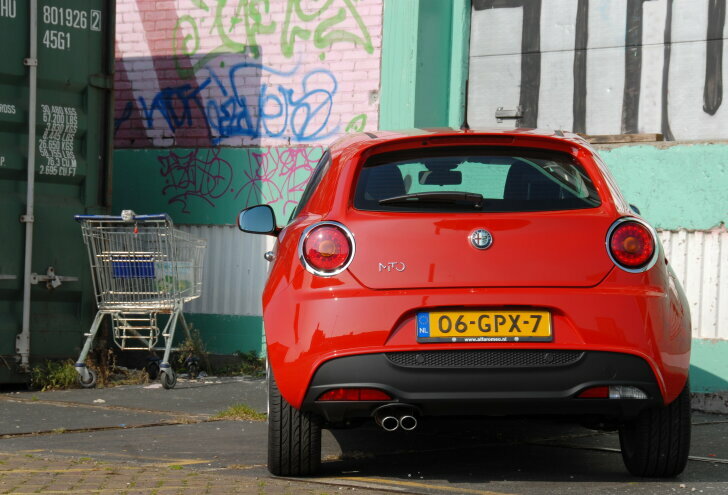 Besides, there are quite some faults to find with the MiTo. Its outspoken character will by far not appeal to everyone and the DNA computer has a man-made and sometimes unpredictable feel to it. The car is unnecessarily wearisome at long distances. The chairs have an uncomfortable rough edge at the bottom of the backrest. The belts are not adjustable in height. Despite all the fancy shapes and patterns, the interior has a high plastic content. However, a large group of customers will take all of that for granted or even forget about it instantly, for the Alfa Romeo MiTo has a captivating and mostly enjoyable charm to it which not many other compact cars offer.